Looking for Juicing Recipes? Want Raw and Organic Ingredients? Don't know where to start? Check out Juicing Recipes Free - Organic, Raw, and Healthy! 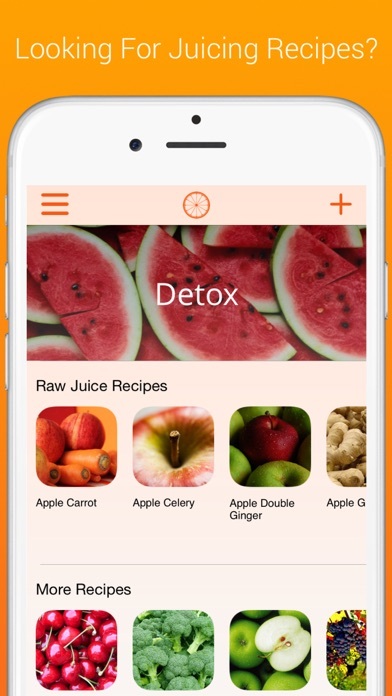 ~~~ TOP RATED JUICING APP ~~~ $$$ VIP EARLY RELEASE SALE $$$ *** Usually $1.99, but FREE for TODAY ONLY *** Juicing Recipes Free - Organic, Raw, and Healthy is the best way to find Raw and Organic Juicing Recipes. Choose from over 100 Raw and Organic Recipes! Organic and healthy people like you use and recommend Juicing Recipes Free - Organic, Raw, and Healthy! ● Raw Organic Juicing Recipes ● Choose From Over 100 Recipes ● FREE to download ● Native Translations for over 20 Languages ● Simple and easy-to-use layout. 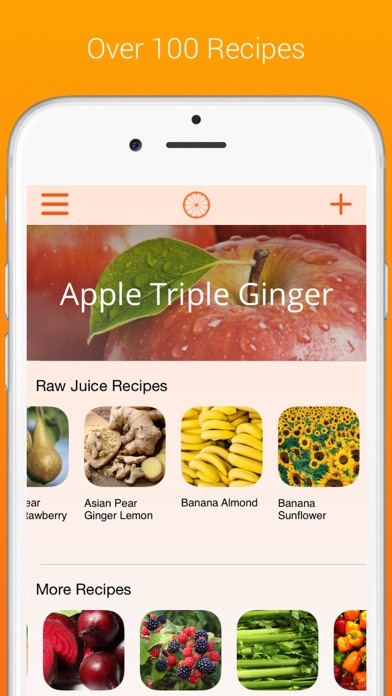 ● Direct-to-developer support Listen to what some of our users have said: ● "I use these recipes everyday and can't get enough" - Krista ● "Best free Juicing app on the App Store" - Dave ● "I love the Apple Ginger recipes, plus its FREE!" - Jon Juicing Recipes Free - Organic, Raw, and Healthy! is partially translated to support the following languages Arabic, Dutch, English, Finnish, French, German, Greek, Indonesian, Italian, Japanese, Korean, Malay, Norwegian, Portuguese, Russian, Spanish, Swedish, Thai, Turkish, Vietnamese. Have a great idea or suggestion for Juicing Recipes Free - Organic, Raw, and Healthy!? Send an email to support@wallyworldapps.com. Your feedback helps drive the features that we will add to Juicing Recipes Free - Organic, Raw, and Healthy! Thanks for checking out Juicing Recipes Free - Organic, Raw, and Healthy! Check out the Screenshots and Download FREE Today Only. These ads are totally acceptable!! I've NEVER seen anything like it before!! I have several apps on my phone and not 1 have as many ads as this one!! LITERALLY after opening each recipe there's an ad 😡😡 Then it say .99 unlock all items and there's nothing!! Totally not worth it!!! I deleted this app in under a min. In the first 10 seconds there were 2 adds and when I clicked on the recipe I wanted to see it was locked unless you pay. The paid version may be ok but the free one is crap. I'm enjoying the app I wish there were pictures of the juice! Also tons of mis spelled words. What a great app. Easy to use and to find recipes. This app doesn't have anything you can't get online for free. At least I assume so. Wasn't willing to suffer the onslaught of advertisements to get any real, useful information. DELETE. Not free. It's $2 . This could be a good app but it's fair at best. Hidden charges so expect to pay $2 if you want to actually use it. Then there's misspelled words , the recipes don't seem to be in any particular order , none include spirulina. Just look on the web for recipes . 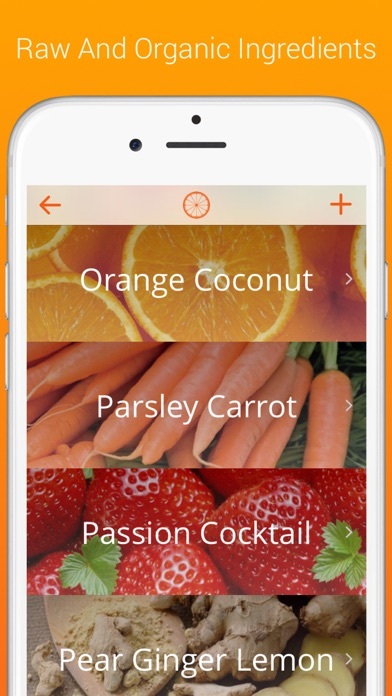 I've been looking for a good app that I can use that would give me recipes for juicing. I downloaded this one, opened it and was greeted with a full page ad that was annoying and had sound. I could not close out the ad and had to turn my phone off to get rid of it. I tried to open the app again and the same thing happened so I uninstalled the app. Developers: SHAME on you! I don't mind spending a buck for an app but at least let me test it out.